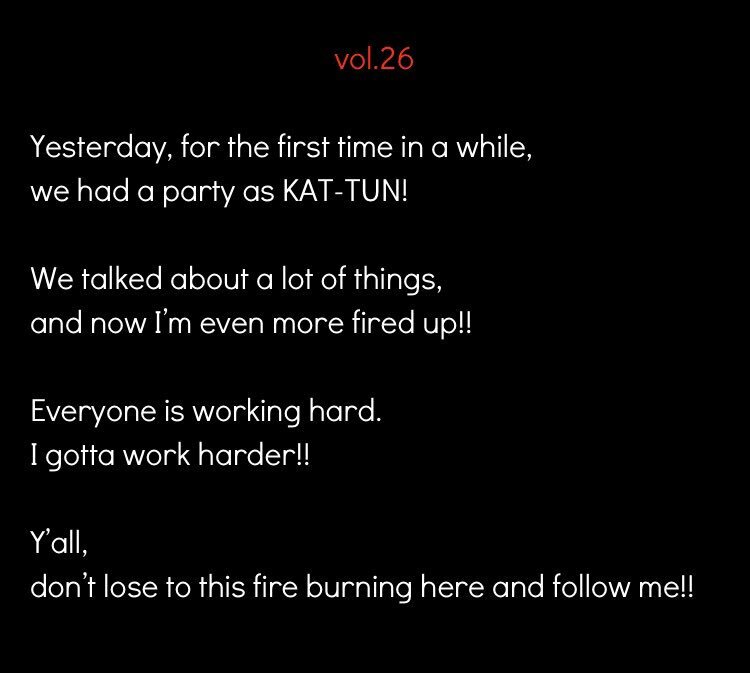 "Yesterday, for the first time in a while, we had a party as KAT-TUN". I did! I did! And it made me super happy because it was a few days after Kame J-web messege where he said he hasn't talk with the other in a while. and because it was right after the awesome KAT-TUN weekend. And you don't even realise you're grinning until it's all over then you suddenly catch yourself ><"
KAT-TUN is awesome! I hope they'll return soon with their awesomeness that made Ueda so pumped after their lil chat. I wish we had a countdown date. "I wish we had a countdown date. "